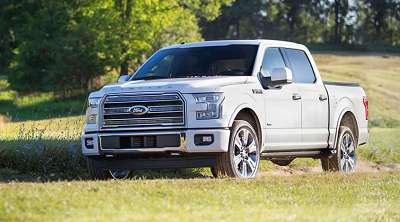 The 2016 Ford F-150 from El Paso, TX continues building its legacy in the full-size pickup segment. This year’s model boasts of body and power enhancements that pose tough competition for others in the market. Equipped with a lighter aluminum body and a turbocharged V6 engine, the 2016 F-150 gains bigger payload capacity and fuel economy without sacrificing power. If fuel efficiency, payload strength, and engine power are your priorities, then this model from a Ford dealership in El Paso, TX is worth examining. Several choices greet the buyer when it comes to the engine. The 3.5-liter V6 grants you 283 horsepower and 255 pound-feet of torque while the 2.7-liter, twin-turbocharged V6 produces 325 horsepower and 375 pound-feet of torque. This entry was posted in Business on August 21, 2016 by Domingo.